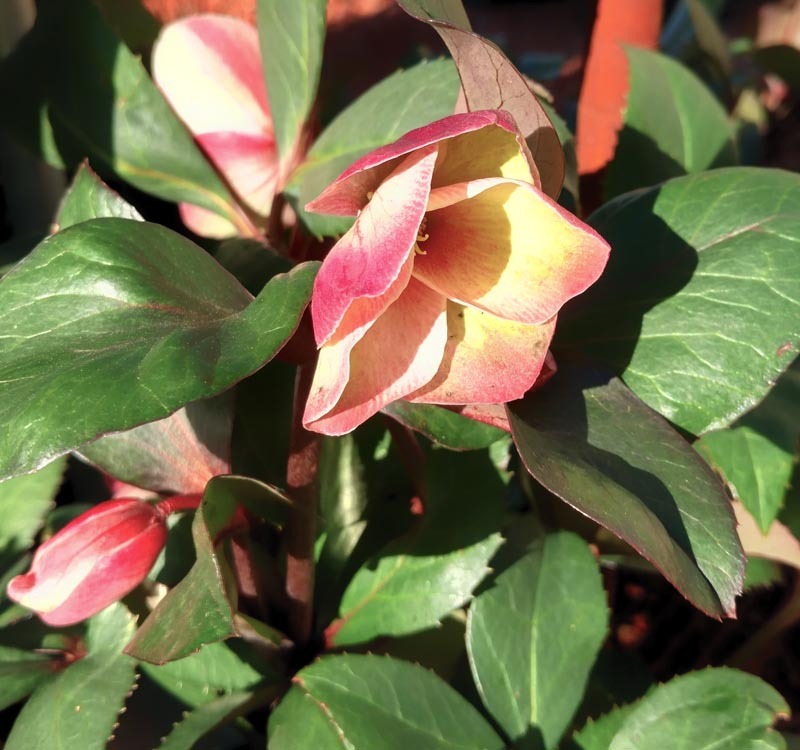 This Lenten Rose displays flower colors of rich burgundy wine to deep red in winter thru spring. Silvery green foliage. Deer resistant.